I don’t know about you, but I can practically taste spring. I even went a little crazy last week and bought several pairs of sandals. Though maple syrup is available year-round in this day and age, the “Early Spring” section of my New England cookery book Rain, Hail, and Baked Beans tells me tree-tapping and syrup production used to be associated with this time of year – that spring signaled a switch from heavy, wintry, molasses-based sweets to the lighter flavors of maple syrup. 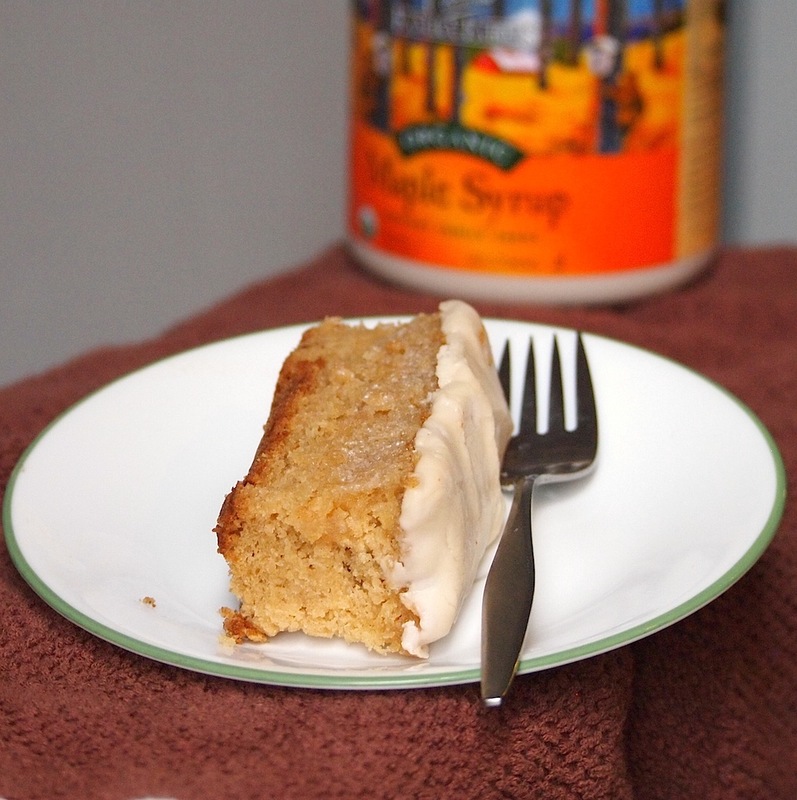 My spring fever thus led me down the path to…Maple Gingerbread Cake. You my have noticed that many of my posts lately have been baked goods. This is due to two factors: (1) baking is my favorite, and (2) I’ve been really busy with work, and it’s so much easier to whip up something sweet and work while it’s in the oven. I had some free time this weekend, though, so I decided to chill out and turn to slow food – the slowest food I know: cured meat. Coppa, specifically. Over Presidents’ Day weekend, I took a trip to Durham, North Carolina for an ad hoc reunion with my freshman year roommates (two of whom are currently grad students at Duke). It was a wonderful weekend, aside from two hitches: (1) I got totally screwed by Delta on my return flight, and (2) Durham’s famous chicken & waffles joint was utterly packed all weekend and I missed out on sweet-savory goodness. By the end of the weekend I was craving chicken & waffles so badly that when I got home I decided, like a good little Brooklynite, to DIY. 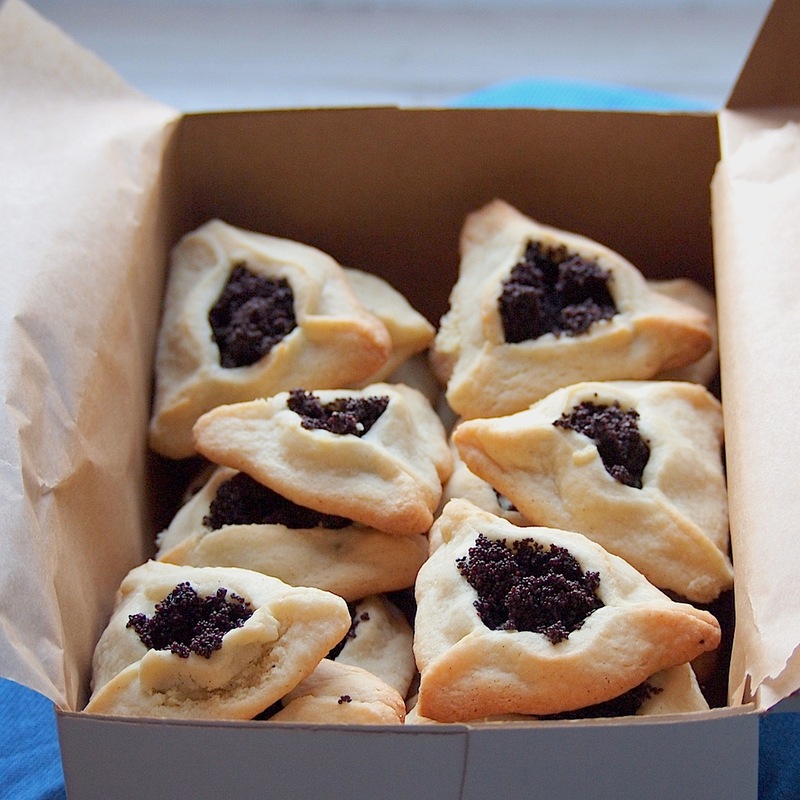 You may remember that I made hamantaschen last year around Purim, and that I used a dough recipe from The Jewish American Cookbook – but got a little crazy with the filling. This year, I stuck with the dough, and kept the filling traditional too: poppy seed. I am single-handedly trying to bring the term “teacake” back into use. It is just such a perfect descriptor for a small pastry that is too cake-like to be a muffin, and is not iced or fluffy enough to be a cupcake. Like the jam-filled cakes below – which really would actually be perfect with tea. I came across two pound cake recipes this week in Maida Heatter’s Book of Great Desserts – a java cake and a chocolate one. After flipping between them for fifteen minutes, I realized I could have both cakes, and eat them too: I could make a mocha pound cake with both coffee and cocoa. I first had haggis about ten years ago, when visiting my great aunt and cousins in Yorkshire and Scotland; I had not had it since…until yesterday. My introduction to haggis was a positive one, and I resolved on my return from that trip to find some in the States to accompany the scotch I brought back with me. Turns out, however, that haggis is not easy to come by in America. In the intervening decade, however, my meat skills have improved and internet food lore has blossomed and so, for the 254th birthday of the poet Robert Burns, I managed to make all my haggis dreams come true.